“cyanide bomb” on March 16, 2017. It killed his dog in front of him. March 30, 2017 – This month three dogs were killed by M-44 “cyanide bombs” in Wyoming and Idaho. In both cases children were present and put at grave risk of poisoning. This is beyond unacceptable. 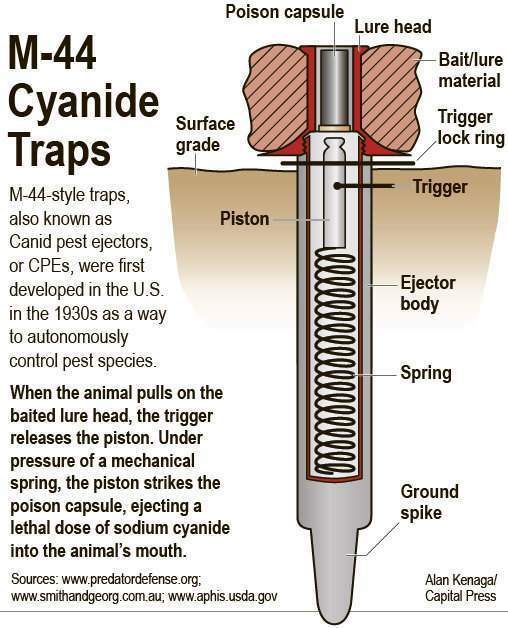 M-44s are indiscriminate sodium cyanide ejectors set by USDA Wildlife Services agents and local wildlife agencies for “predator control.” Details | Diagram There is no justifiable excuse for the use of M-44s. 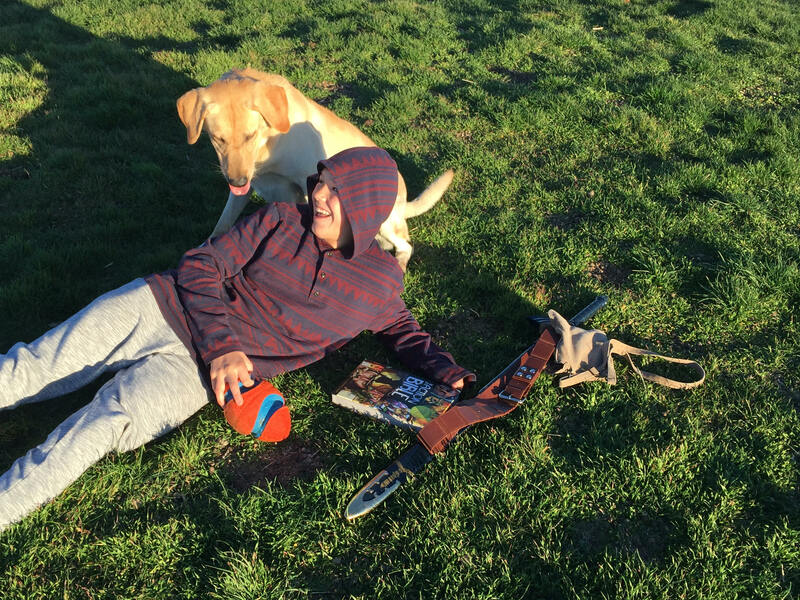 It is insane to set poison traps in the great outdoors. We’ve been pressuring for an M-44 ban since 1990, collaborating with Rep. Peter DeFazio (D-Oreg.). We are thrilled to announce that on March 30 Rep. DeFazio introduced the legislation we’ve been working on in Congress. The bill is called H.R. 1817, “The Chemical Poisons Reduction Act of 2017.” It would ban both lethal M-44 sodium cyanide devices and Compound 1080, which are used unnecessarily by government wildlife agents for predator control.